CBLDF tries to regularly thank the vast number of members and supporters who read our News Blog, subscribe to our newsletter, and donate regularly through our Reward Zone. But it’s easy to overlook the crucial support CBLDF receives from retailers all across the country. Whether stores support free speech by becoming CBLDF members or by stocking CBLDF publications, they show their commitment to CBLDF and the First Amendment within their communities. And in the case of two retailers from North Carolina, some stores support the fight for free expression by bidding on really cool stuff from our friends at Full Bleed. At the 2018 ComicsPRO meeting in Portland, Full Bleed generously opted to auction off some pages from their popular print-only magazine to benefit Comic Book Legal Defense Fund. The winning bidders were two different retailers, Ssalefish and Ultimate Comics, and we’d like to take this opportunity to thank all involved for their support. But the fun doesn’t stop there. Full Bleed decided to send out Brockton McKinney to interview the founders of these two distinct giants in the North Carolina comic book scene. The interview is a great piece of behind-the-scenes writing, interesting to anyone who has wondered about the origin stories behind successful shops. 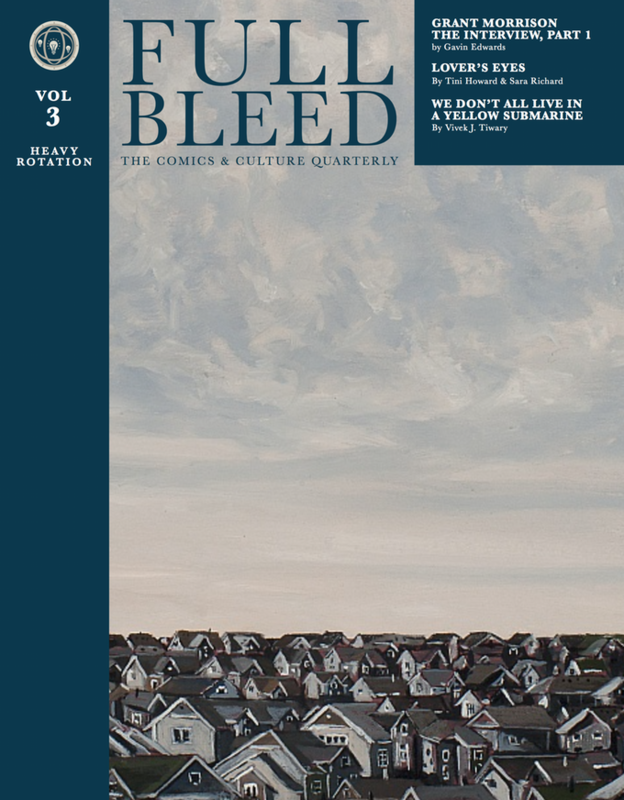 Full Bleed was kind enough to offer CBLDF a sneak peek of their latest issue, by sharing those interviews. For those interested in seeing what else Full Bleed is cooking up for Volume 3, please head on over to their Kickstarter and reserve your copy today. 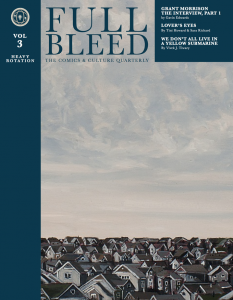 Full Bleed has generously supported CBLDF in different ways, and on top of that has put out two phenomenal and beautiful volumes of a print-only magazine that has become a must read for those interested in the constantly evolving universe of comics.